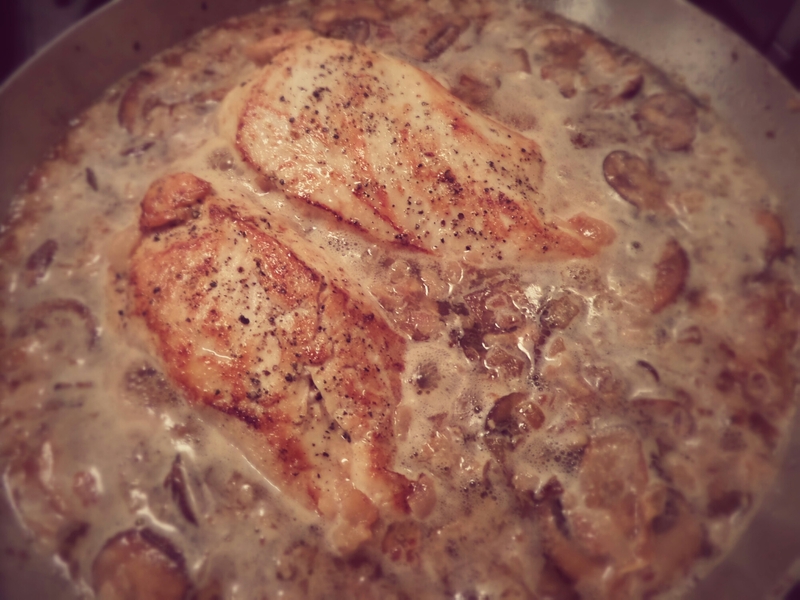 I’m not a huge fan of chicken thighs so I’ve tweaked it to suit chicken breasts. Melt the butter with the olive oil over medium heat. Add the chicken and cook 4-5 minutes on each side. You’ll want them slightly browned. Remove the chicken and add the chopped bacon and diced onion. 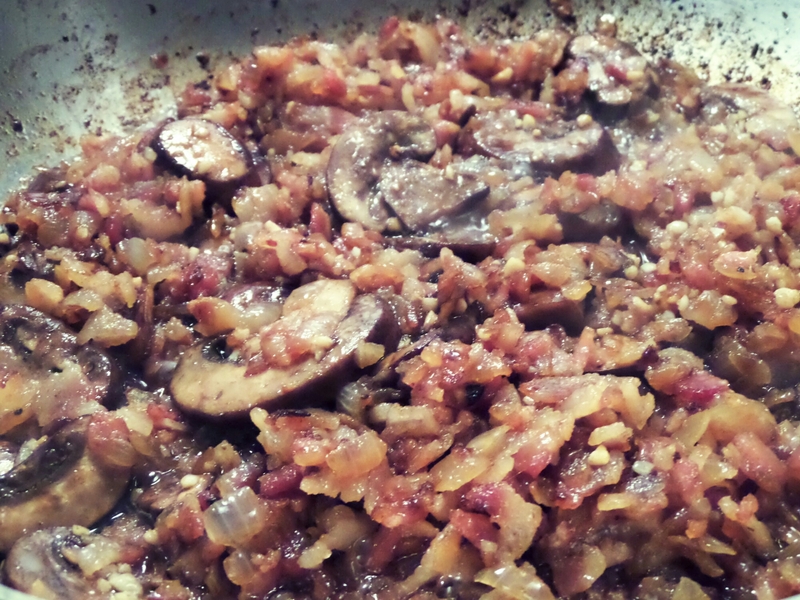 Cook until the fat is rendered and the onions are translucent (about 10-15 minutes). Add the garlic and cook for another 2 minutes. 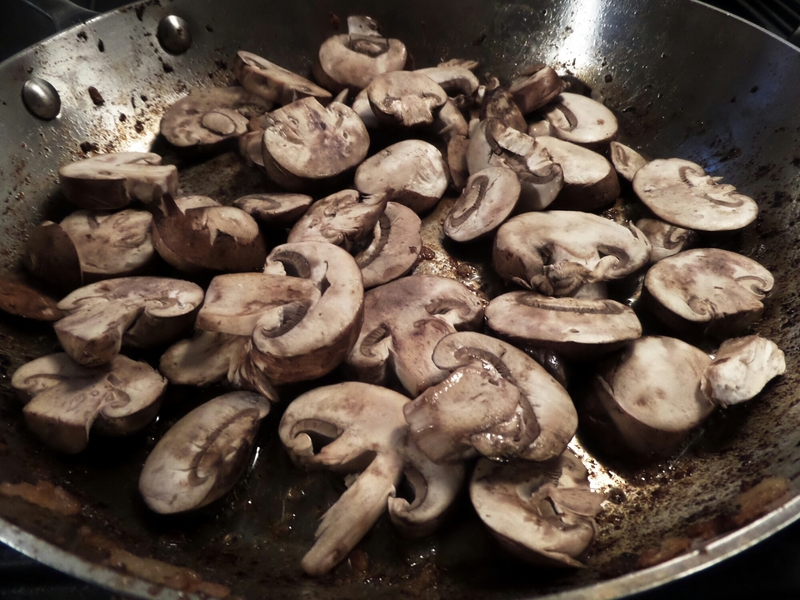 Remove the mixture from the pan and add the mushrooms. Fry them for 4-5 minutes. Add the wine and simmer for another few minutes, scraping the yumminess off the bottom of the pan. Add back in the onion and bacon mixture, along with the chicken. Be sure to add the juices that accumulated on the plate, from the chicken! Bring to a gentle boil then reduce the heat to low. Cover and let it cook for 10 minutes. Add the cream and the parsley and let it heat for another 10 minutes. And that’s it!! Serve over rice, mashed potatoes or egg noodles. The sauce is absolutely ridiculous! 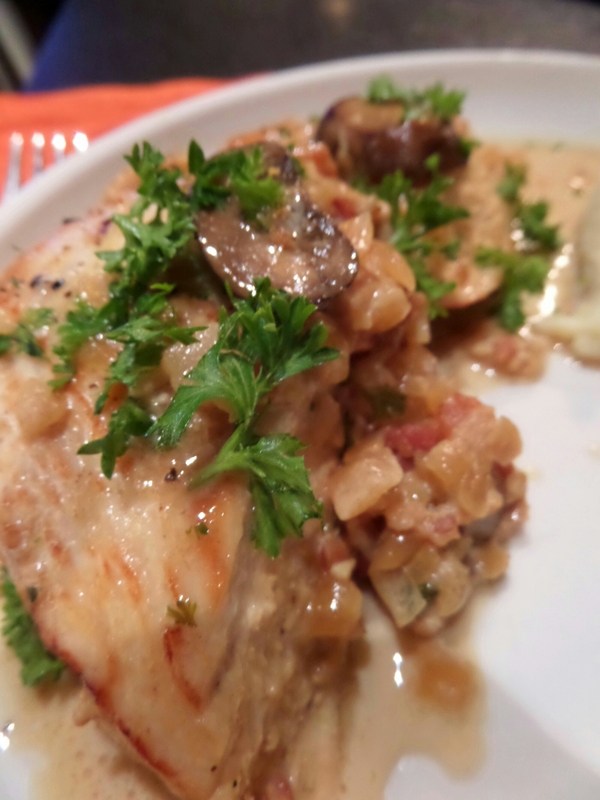 For those that prefer chicken thighs, be sure to check out this site. Okay, I’m going to try it tonight and can’t wait!!! !